This week, we’re joined by Dr. Vahan Kassabian of Georgia Urology. Dr. Kassabian graduated from the University of Montreal in Montreal, Quebec, in 1985 after brief clerkships at McGill University and the Massachusetts General Hospital of Harvard Medical School. He completed his urologic residency at the University of Montreal in 1990 and also completed additional training as a research fellow in urologic oncology at Baylor College of Medicine in Houston, Texas in 1991. He later served as clinical instructor of urologic oncology in 1992. Prior to joining Georgia Urology, he was assistant professor of surgery at Emory University. He practiced urologic oncology at Emory University Hospital and each of its affiliated hospitals. He was also Chief of Urology at the V.A. Hospital in Atlanta and served on several committees, including the Cancer Committee and the Peer Review Committee. 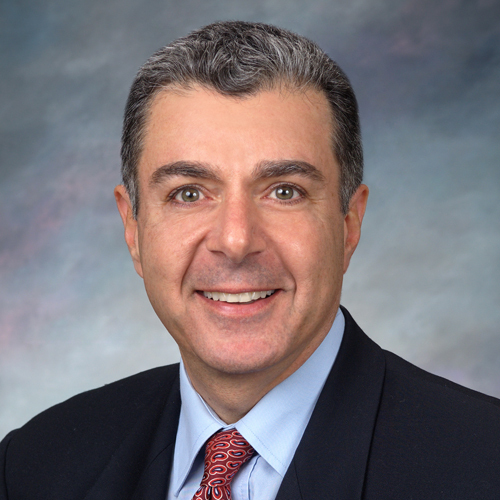 Dr. Kassabian has vast experience in clinical research, especially in prostate cancer. His surgical expertise is in complex oncological cases, advanced prostate cancer, MRI fusion and High Intensity Focused Ultrasound. He is a member of the American Urologic Association, the Canadian Urological Association, LUGPA and the Society of Urologic Oncology. He also serves as Contributing Editor for “Reviews in Urology” and is a reviewer for “Urology Practice”. Dr. Kassabian is the Medical Director of Georgia Urology, P.A., one of the largest and well known private practice urology groups in the country. He also serves as the urologist member of the Contractor Advisory Committee of CAHABA, the regional Medicare carrier for Georgia.